Open Enrollment season brings a bevy of employer challenges as the focus shifts to improving employee benefits participation. We’ve put together a list of the most common Open Enrollment mistakes that you want to avoid. Simplify, simplify, simplify. There is a LOT of information that comes with open enrollment. But the key technique is to make things palatable for your employees. DON’T overload them with information. When employees feel overwhelmed, they’re more likely to forget information or just ignore it altogether. Don’t settle for employees simply rolling over their current elections. Plans can change. It may seem faster for them to go with the same choices from last year, but it’s important for employees to make educated decisions so their coverage meets their needs (and doesn’t lead to higher costs for the company). Millennials are an ever-increasing group in the employment landscape and should not be ignored when devising your Open Enrollment communications strategy. Take into account where they are in their life-stage, what benefits are most important to them, how much knowledge they have of health insurance and selecting benefits, and what methods of communication are most effective with them (e.g. digital and web-based tools). Beginning and ending with enrollment season. The end of open enrollment season does NOT signal the end of your benefits communication with employees. This is a process you should reinforce year-round. Keep the conversation going. 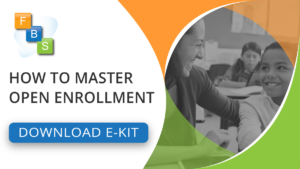 If benefits education remains a relevant topic in between enrollments, your employees will become better prepared to make informed decisions each year.